Our behavior change according to our mental condition, just like martial arts techniques. In this DVD, master SUNADOMARI demonstrates the variation of techniques that are modified by the mind (and energy). SUNADOMARI Kanshu was born in Kagoshima Prefecture in 1923. As a teenager, he became a pupil of Master Morihei UESHIBA. 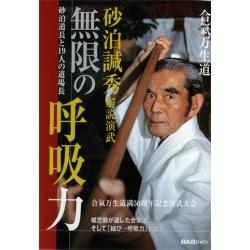 In 1954, he created his dojo, which he named Manseikan Dojo, in Kumamoto Prefecture. In 1961, he gets his 9th dan Aikikai when he is only 38 years old. After the death of his master, he left the Aikikai and created his own school, Manseikan Aikido. In 1999, he changed the name of his school to Aiki Manseido, before giving him back its original name in 2008. 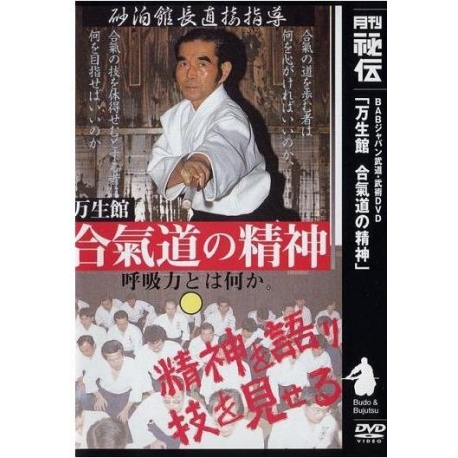 The content of this DVD "Aikido no Seishin(spirit of aikido)"